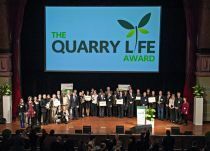 On 29.11.2016, the German Quarry Life Award 2016 was presented in “Halle 02” in Heidelberg/Germany. This was attended by approximately 200 guests who had come to see the three best national projects being honoured. 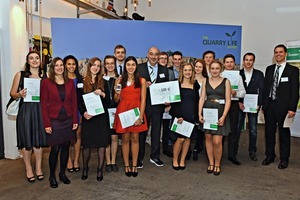 The Quarry Life Award is an international research and education competition which aims to promote biodiversity in the quarries and gravel pits of HeidelbergCement. The competition is held nationally in the participating countries as well as internationally. 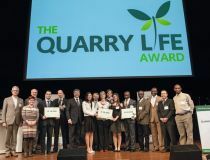 All (five) country finalists go through to the selection for the international Quarry Life Award. A total of more than 300 participants took part worldwide in the third edition of the competition. The submitted projects from 21 countries were carried out at 69 mining sites. 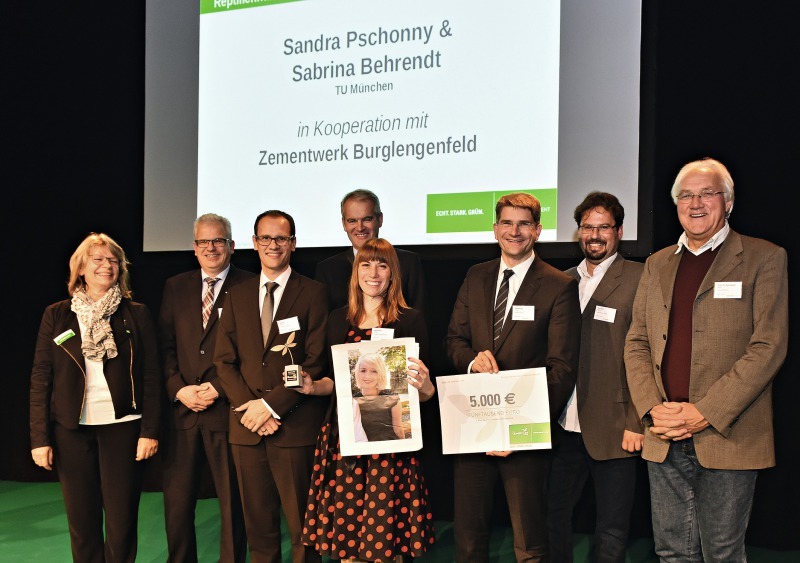 “Optimisation of reptile habitats using existing materials” in Burglengenfeld quarry submitted by Sandra Pschonny and Sabrina Behrendt, both students of landscape planning at the Technical University of Munich. Jury’s reason for this choice: The very well conceived project presents a practice orientated, easy to realise concept for creating a habitat for reptiles. 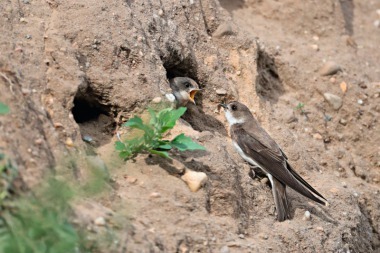 Waste materials such as dead wood, scree and compost are used to easily create a new, high quality habitat. 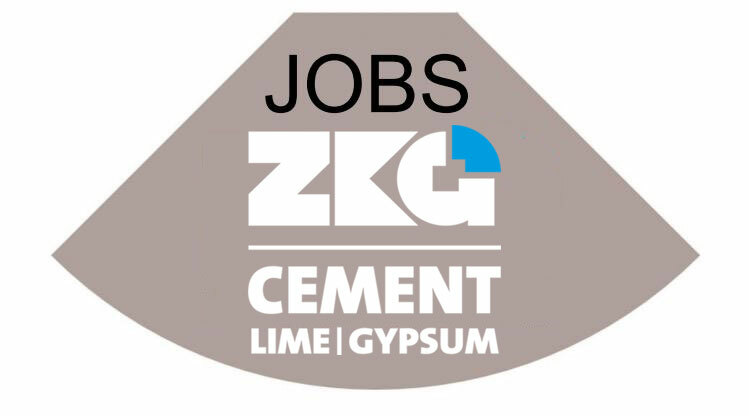 As the project has been conceived for long term implementation and is well suited for quarries, it promises lasting success without much effort or cost. 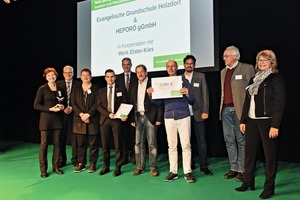 “Nature only works together – pupils “understand” insect and bio diversity in the gravel plant Elster-Kies” submitted by the Evangelical Holzdorf primary school in Jessen. 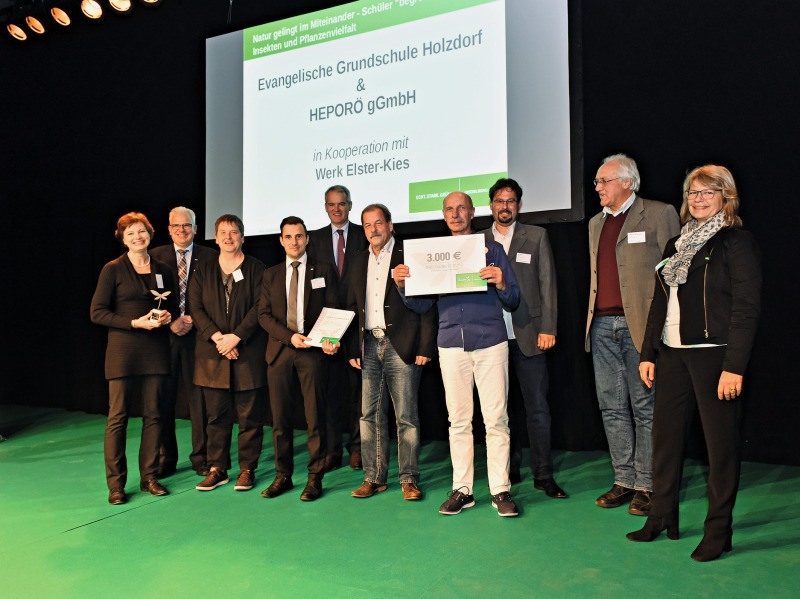 Jury’s reason for this choice: As part of the near-natural recultivation of the former Dixförda gravel pit of Heidelberger Sand und Kies, the primary school children together with residents of a home for people suffering from addiction, have built a “bee hotel” for wild bees. Wild bees are an animal group of which there is little public awareness. The project combines the pupils’ assumption of responsibility for the environment, on the one hand, and, on the other hand, raises an awareness of appreciating people with shortcomings as partners and members of society. 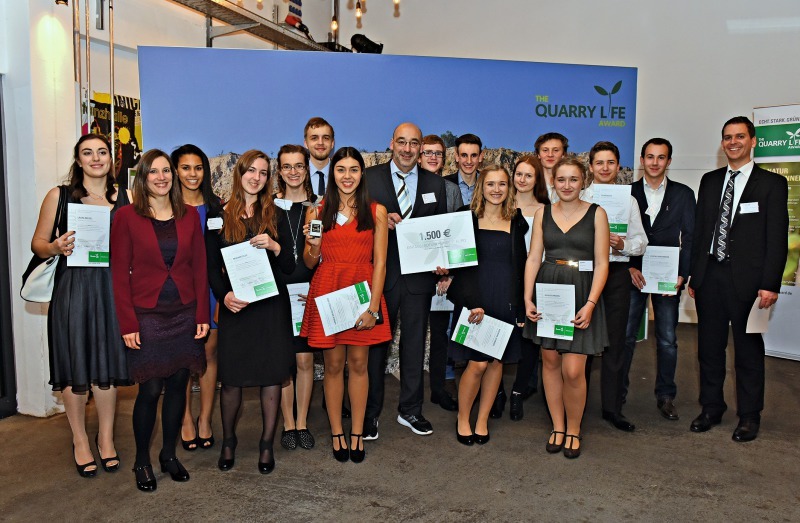 School project of the Biotechnological college Marie-Baum-Schule “Quarry biodiversity in focus – exploring the bardcode of life”, conducted in the Nussloch quarry and the European Learning Laboratory for the Life Sciences (ELLS) in the EMBL, Heidelberg. Jury’s reason for this choice: The sixth form pupils have generated DNA from plants and examined the question of whether there are genetic differences inside and outside the Nussloch quarry. Plant determination occurred by means of bar-coding technology. The highly innovative, future orientated project combines technology, school and science with a focus on nature in an exemplary way.